This Project sought to address coastal erosion issues and needed to move day use areas back from actively eroding coastline. It involved a range of stakeholders including Cascade Primary School students, Esperance SHS work placement students, the Shire Work for Dole team, South Coast NRM Coastal Works team and Shire of Esperance staff. Two day use carparks and picnic facility upgrades including moving day use sites back from the eroding coastline. 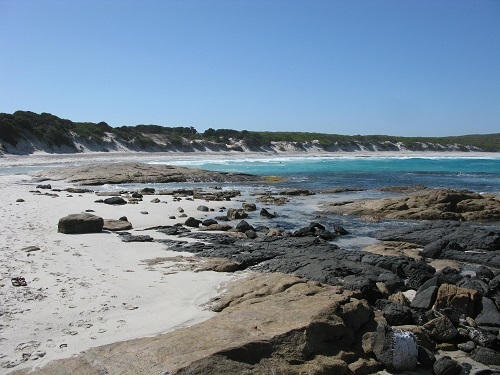 The Quagi Beach Campground area has had a complete overhaul and is now much better designed to accommodate visitor’s requirements and protect the sensitive environment in which it is sits. This project is a finalist in the Tidy Towns Awards in the Environmental Sustainability projects category.